Leicester City’s Foxes Foundation will be renamed The Vichai Srivaddhanaprabha Foundation in honour of the club’s chairman, who tragically died in a helicopter crash, the Premier League side announced on Tuesday. On top of the millions he poured into funding the club’s rise from English football’s second tier to Premier League winners in 2015/16, Vichai also donated generously to the local community of Leicester since buying the club in 2010. 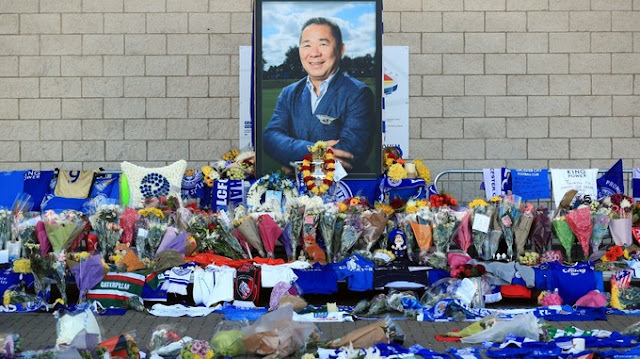 The Thai businessman was killed along with four others when his helicopter crashed in the car park of Leicester’s King Power Stadium on October 27, shortly after attending a 1-1 draw with West Ham. “Since its formation in 2011/12, the Foundation has raised almost £2 million for local charities, helping fund a renovation of Leicester Royal Infirmary’s Children’s Outpatient Ward and life-saving equipment desperately needed by the Children’s Intensive Care Unit,” Leicester said in a statement.